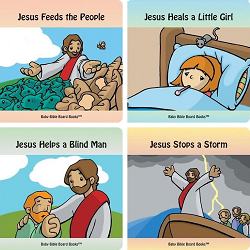 A winner for the Baby Bible Board Books has been chosen by random.org. The Armchair Housewife for comment #3! She has been contacted about her exciting win. Stay tuned for more giveaways coming up soon on Blessed Homemaking! Yay! Thanks SO much, Mrs. Q! !